But there’s more; for many authors and writers, marketing and selling is not a practice that comes naturally. The truth is that most individuals just aren’t as comfortable marketing or promoting their work. At times, authors focus so much on completing their books that they forget to factor in what will happen after completing it. Your platform should be made up of readers that want to make a connection with you. Your platform can be an online community or it could just as well be your social media page. When creating a platform, try not to focus too much on building your online presence because your work should speak for itself. As a writer, it is important to serve the needs of your readers, which is always the ultimate goal (not to sell 3 million copies!). It, therefore, stands to reason that if you give your readers what they need, then there is no reason that you should not sell more books. Furthermore, on a basic level, understanding the effect that your book has on people will make it a lot easier to talk about your book and consequently sell it. 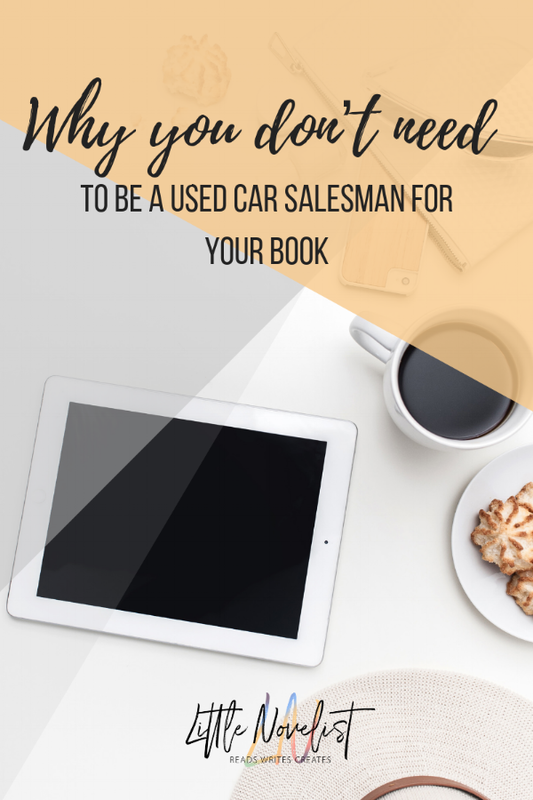 To borrow a leaf from a used car salesman, it is not just about selling the car or book, but it is also about making the customer or reader feel as though you have provided value. Blogs are important today because they up your digital marketing game and they allow you to tell your story in the most personal way, which goes a long way in helping to build connections. Also, blogs are great because they allow you to create an email list, which is the ultimate tool to have in your marketing arsenal.